So today is the perfect chilly fall day for some good Southern comfort food! One of my favorite things about the cool weather is indulging in those comfort savory dishes ever once in a while. You know… spaghetti, lasagna, chicken pot pie, chili, and meatloaf. YUM! This dish was inspired by a Pillsbury recipe. One recipe I use to make before I was comfortable in the kitchen to just whip up my own recipes. It was delicious! So when I started experimenting and got more confident in my cooking, I knew I wanted to make something similar but with my own twist. 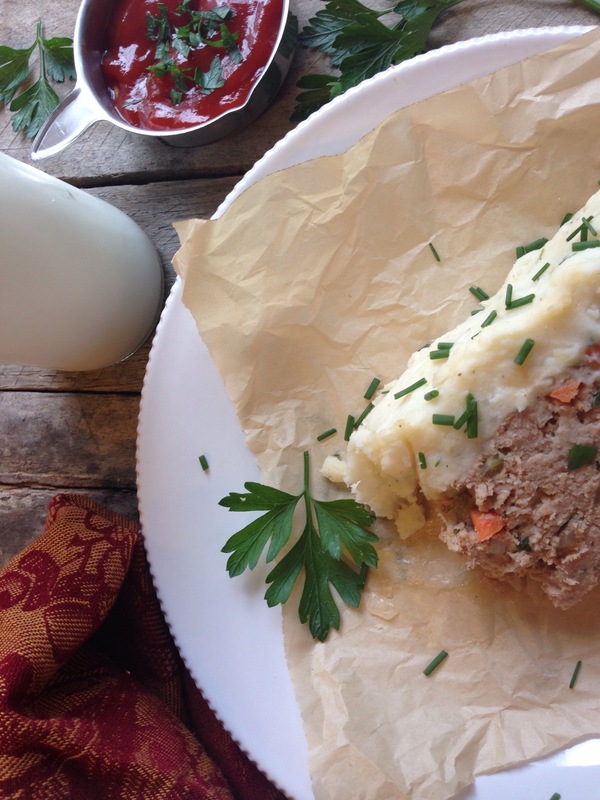 This meat loaf is so good! It’s also super EASY and the mashed potatoes are a little piece of HEAVEN! I have a hard time staying out of them when I am making this dish. Actually, I could just eat the whole bowl of potatoes with a spoon but I wont! I had beautiful parsley and chives that I wanted to use to from the garden. 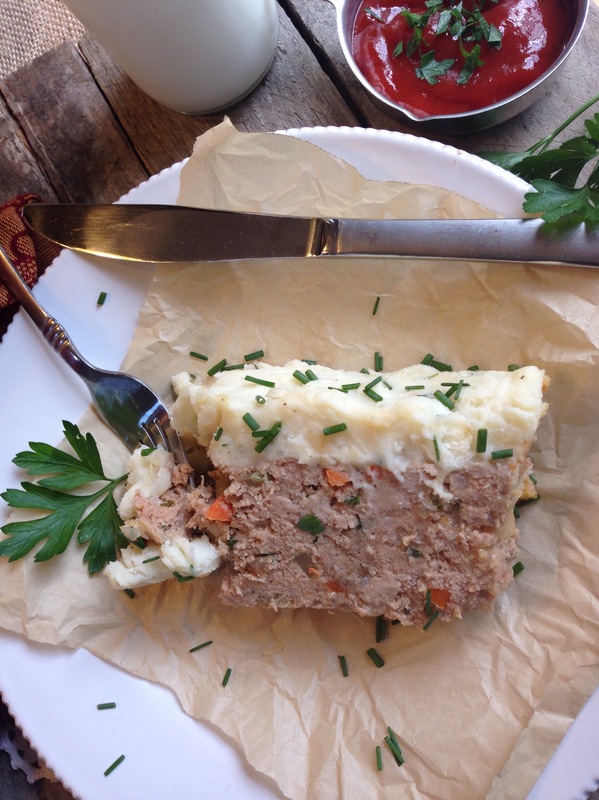 They really help add some fresh and delicious flavor to this meatloaf. Preheat oven to 425 degrees. Cut off about 1/4″ of the top of your garlic head and wrap the foil around the bottom of garlic, leaving the top of the garlic cloves exposed. Drizzle olive oil over the top of the cloves and place garlic on top of the oven rack allowing to roast for about 40 mins. This will have your house smelling DIVINE and your mouthwatering!! It will come out soft and butter-like. If you have never roasted garlic before I HIGHLY recommend smearing one clove on a piece of bread! Roasted garlic is SO TASTY! Peel and chop potatoes, place potatoes in sauce pan full of water and boil until potatoes are tender. Chop parsley, chives, onion, celery, and carrots. In a saute pan with olive oil, over medium-high heat saute carrots, onions, and celery until tender. Remove from heat. In a large bowl mix turkey, chopped parsley, saute vegetables, italian bread crumbs, egg, ketchup, and salt and pepper. Mix well with your hands. 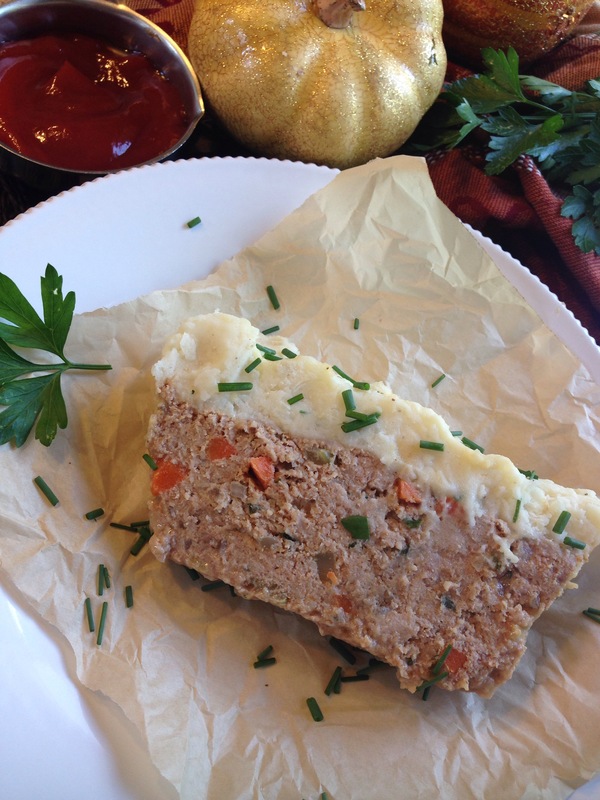 There really is not a better way to mix meatloaf! So roll up those sleeves and GET IN THERE! Take meatloaf mixture and press firmly into a bread pan. Remove garlic from oven and allow to cool. The garlic should be golden brown and soft enough to be pierced with a paring knife. Preheat oven to 350 degrees and place meatloaf in oven for about 20 minutes. Remove roasted garlic from the garlic head. Strain potatoes and in a large mixing bowl add potatoes, parmesan cheese, butter, garlic and milk whip until smooth and creamy. Then add chopped chives and incorporate. 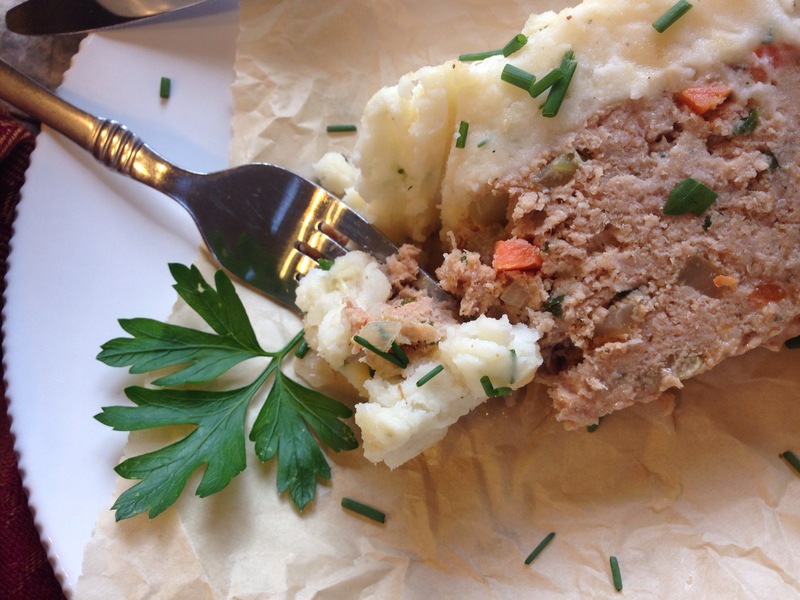 Remove meatloaf from oven and put potatoes on top of the meatloaf and cook for another 20 minutes. Or until your meat loaf is cooked throughout. Allow to cool for 10 minutes before serving. 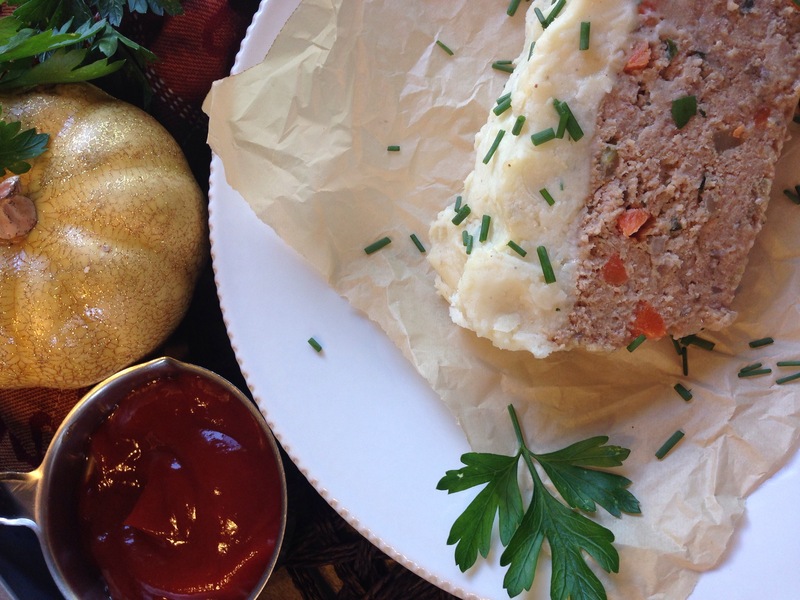 Serve with a side of ketchup because you just CAN’T eat meatloaf without it!! This recipe yields about 6 servings. 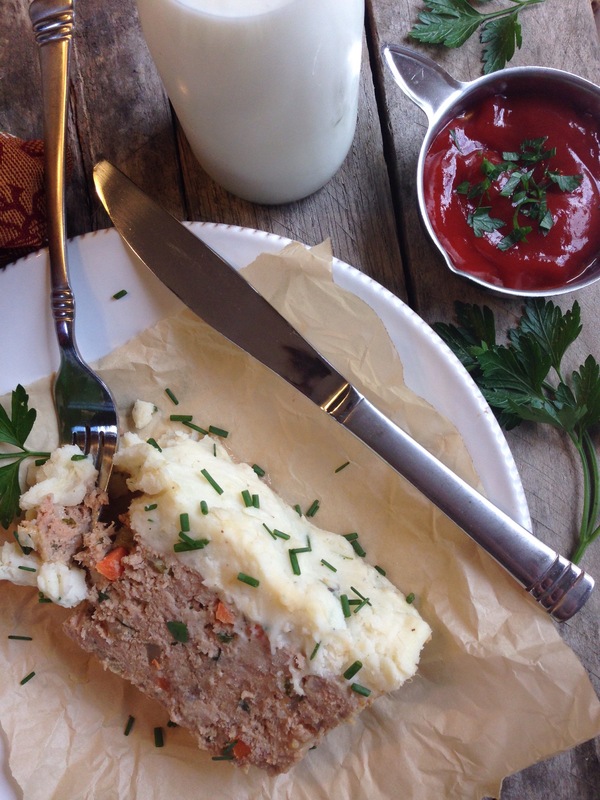 This meatloaf is the perfect comfort food! So delicious! Full of savory flavors that will keep your taste buds happy and make you want to snuggle up with a cozy blanket on couch after! Happy Sunday Y’all!